Dr. Cesar Delgado, an associate professor of science education in the NC State College of Education, has been selected as a university-level recipient of NC State’s 2019 Outstanding Teacher Award for his “commitment to creative and innovative teaching and learning practices.” As a recipient of this award, Delgado will be a member of the Academy of Outstanding Teachers for the duration of his faculty appointment at the university. 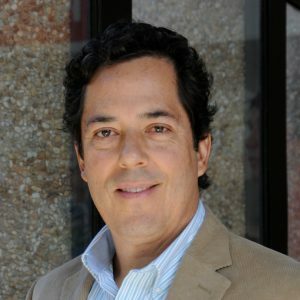 Delgado earned his doctorate in science education and master’s degrees in chemistry and learning technologies at the University of Michigan, Ann Arbor, where he was a School of Education Scholar’s Award Fellow. He joined the NC State College of Education in 2015. He uses constructivism to guide his teaching methods and encourages students to build their knowledge through active exploration, collaborative sense-making, and relevant problem solving as both individuals and as a group. His articles have been published in top-ranked science education journals on students’ understanding of size and scale and interdisciplinary learning and assessment, modeling, evolution and multimodal representation. He authored the materials used in the UTeach course for pre-service teachers Project-Based Instruction, which is offered in 45 universities in 21 states and the District of Columbia.